Please take a moment to find out more about our products and benefits, and see for yourself that CRC is your best Solution. CRC offers you a complete range of chemical products : Cleaners, Lubricants, Anti-Corrosion products, Paints, Care products, Other Specialty Products. 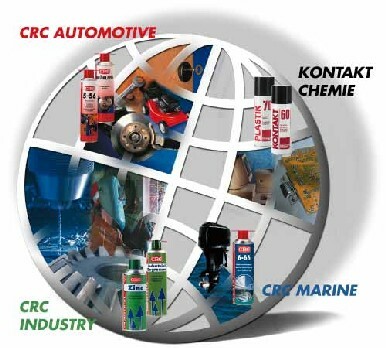 CRC Red : A complete line of products for the automotive after market. CRC Green : Products for all industrial maintenance and repair services. KONTAKT CHEMIE : A range of products for all electrical and electronic maintenance applications.